At Fortis Escorts, the Radiology department provides a complete range of radiological programs such asX-Rays,MRI,Ultrasound, CT scan, Mammography, Fluoroscopy, Dexa and other intervention procedures. We have established latest and highly advancedtechnology in our venture to facilitate the preciseinvestigation outcome. The radiology department facilitates highly skilled technicians and radiologists who are dedicated to provide 24X7 patient-care. 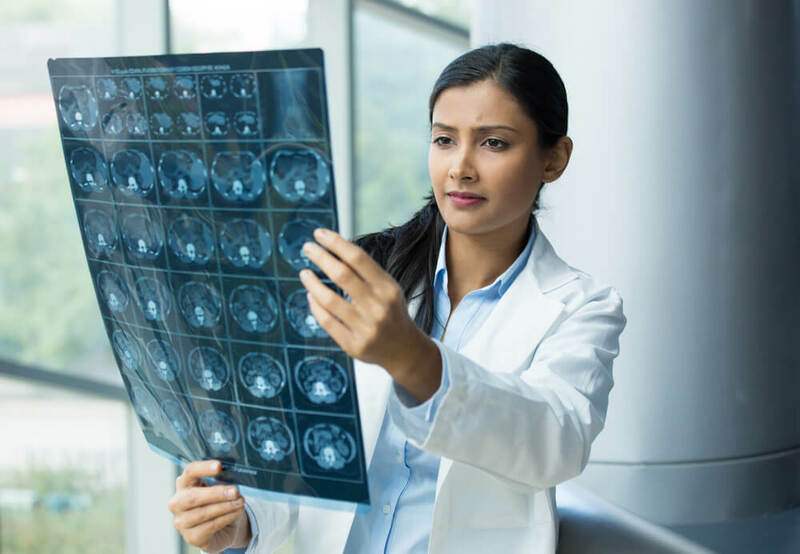 The department is also highly involved in expanding the boundaries in the span of radiology and imaging through various investigation programs. Achievaprovidestop-notch magnet homogeneity at large Field Of View (0.5ppm at 50cm DSV) for high quality image. This highly necessary in Orthopedic/joints examination like fat suppressed shoulder imaging and knee imaging as both of them demand off centre imaging. It playsan important role in whole body imaging (with and without fat suppression), examining in large patient, body diffusion. Achieva offers largest field of view (imaging volume in x, y and z direction) in the industry. This will make patients stay shorter in the magnet. This will reduce patient rejection because of large body size in a manycases. It is easy to operate good magnet homogeneity by implementing long tunnel magnet. But Achieva has managed to accomplish high quality magnet homogeneity by offering clients tunnel as short as 60cm, magnet length 157cm and offering flickering of the magnet. This makes it the most homogeneous magnet enhancing patient comfort excellence. Achieva is the quickest scanner in this industry. The radiologist can elevate the imaging by factor 16 and angiography by factor 60. This puts the user in command of selectingpreferred speed, temporal resolution and spatial resolution as per requirement of the investigation. It also helps in making patients stay shorter in the magnet for anxious patient and will provide higher throughput. Achieva provides the highest resolution in the radiology industry: 2048X2048(2K) imaging matrix. See more detailedanatomy with high resolution quality. It produces excellent images in Angio, neuro imaging and MSK. Reduce the spectroscopy time by accelerating the exam. The imaging time can be reduced as per the requirement up to sub-minute examinations.Scan the patient more than 2m tall head to toe without restriction. It is the most sophisticated equipment in the radiology industry and makes the examinations fully automatic by having fully mechanised planning, scanning and operating. It helps the Hospital to have extremelyreproducibility of high quality images, clients after clients and transaction after transactionforever. The department of Radio investigation & Imaging is facilitated with advanced state-of-the-art Somatom Definition Dual Source CT scanner with efficient performance for cardiac & cardiovascular procedures. The main feature of this CT scan is its ability to equip a non-invasive means of examining internal body organs and structures including heart and diagnosing condition. With ECG gating and faster scanning CT coronary angiography is achievable& because of its non-invasiveness, OPD basis & low cost of the procedure it is considered as 'gate-keeper' for the catheter coronary angiography. Full converge of coronary tree is acquired in a single breath hold. The major advantage over conventional angiography is the ability of visualize the coronary wall as well as the coronary lumen. Calcified & non-calcified atherosclerotic lesions can be visualized in the coronary wall. It is another modality integrated in the radiology department for the non-invasive testing of heart &blood vessels. MR angiography is a non-invasive program to evaluate the functioning of blood vessels without depending on invasive traditional X-ray angiography. MR digital subtraction angiography (MRDSA) is performed with intravenous injection of MR contrast in an arm vein. It can be performed in the neck, head, arm& body. Peripheral angiographies can be performed in a few seconds with the results comparable with the conventional angiography which is considered to be the gold standard.In addition, whole body MR imaging can also be performed with this imaging scanner in a very short time. All these angiographic investigations can be reconstructed in 3D and can thus be examined in all the planes. Ultrasound is developed to stay up to date with latest, advancements& to cover all areas of ultrasound. The areas include abdominal (liver,pancreas, biliary,peritoneal, gastrointestinal tract and abdominal wall), retroperitoneum (vascular, retroperitoneal,general, kidney & lower intestinal tract),musculoskeletal, pelvis, neck, breast, chest, small parts andabdominal ultrasound and interventional chest. 4D Color Doppler ultrasound scanners withlinear, convex, sector,pediatric, Transcranial&endocavitory transducers are implemented to perform ultrasound. The procedure of Mammography is used to examine healthy women for indications of breast cancer. Mammogram examination is recommended for all women who are 40+ in age, every year. The screening involves a special, limited dose x-ray machine to captureinternal images of the breasts. The outcomes are shown directly on to a computer screen or on x-ray film. This is a clinically verified technique of diagnosing bone mineral density (BMD). Bone Densitometryfacilitates valuable tools in examining osteoporosis & other diseases characterized by abnormal BMD. Bone mineral density (BMD) is also considered an apt estimator of fracture risk. Our radiography & diagnostic department administer 800 MA set with image screening with two Computed Radiography equipment and five portable X-ray machines. In case of emergency to expedite developing & processing of the films, two automatic processors have been installed.